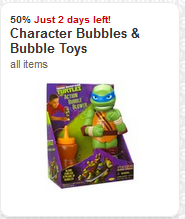 The Character Bubble toys are around $10.99 so just $5.50 after the cartwheel savings. 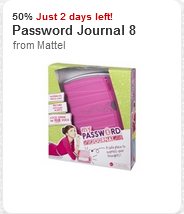 The password journal is $24.99 so $12.50 after the cartwheel savings. 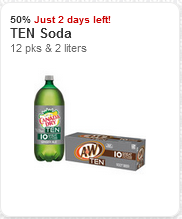 Ten Soda 2-Liters are $1 so $.50 after Cartwheel. 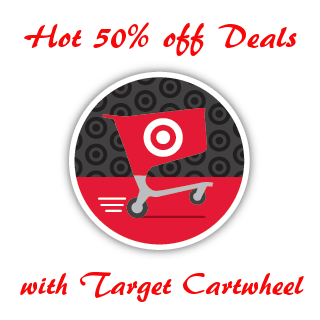 I’ll update later with the 12-pack price. 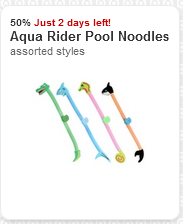 Aqua Rider Noodles- an 8-pack is $99.99 so $49.99 after Cartwheel. 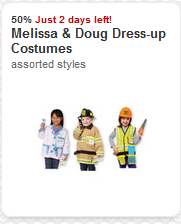 Melissa & Doug costumes are around $24.99 so $12.50 in stores after Cartwheel. 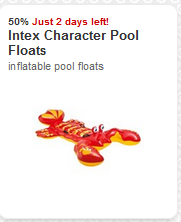 Intex Character Pool Floats range from $8.99-$14.99 so as low as $4.50 after Cartwheel. Razor Berry Kick Scooters for $19!